Minimum 8 attendees. Course duration is approximately 3 to 4 hours. This course is designed for large workplaces such as sports and convention venues, schools and colleges, and large corporate locations. This course will increase the employee's knowledge in trauma assessment, trauma injury stabilization, the use of large dressings, hemostatic agents and tourniquets. 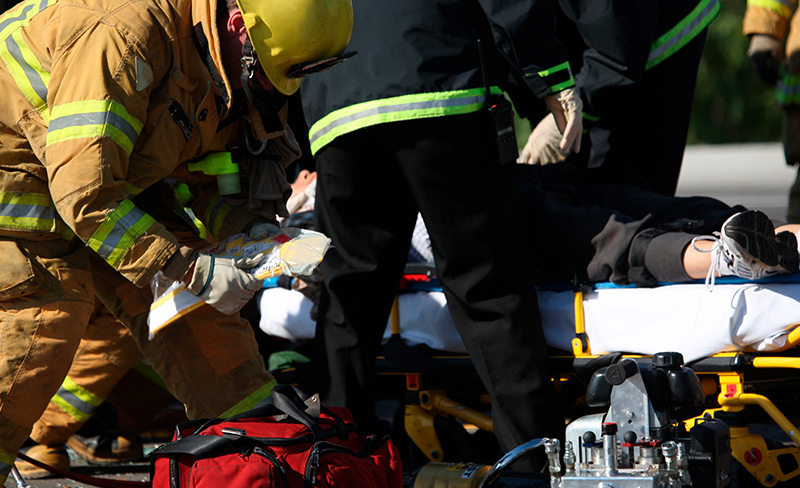 The goal of this course is to provide an internal qualified workforce that assists employees and citizens in the unfortunate event of an unfolding mass casualty event, caused by natural or man-made disaster. Employees will confidently stabilize patients before professional responders arrive to enter and provide further assessment and treatment. Recommended to repeat the course every 2 years.